The rooster is one of the Chinese animal signs. For people born in the year of the dragon, ox or snake, it is good to have a symbol of a rooster. It symbolizes harmony and brings mentors to these people. 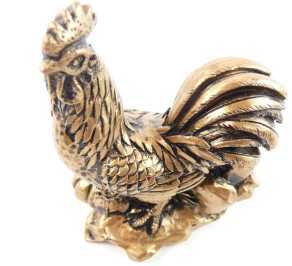 Place the rooster in the west of your office or home.